You know you need to start your job search. And as you read this, you might be thinking what most people think. There's always the possibility that you are one of those people (that one person) that loves starting something new on Monday. If so, feel free to skip the rest of this post. For the rest of you (us), read on. Looking for a job, or any action, is rewarded by motion and consistency. Start today. If you have done nothing before today, put in some time today. It will do wonders for your self-esteem. 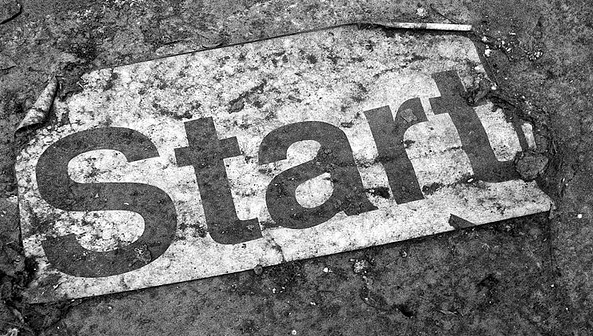 Not sure what you should do to actually start? Start with the five things you can do this week to improve your job search. There is one important element to starting something on a Friday. You have to keep it up on Saturday and Sunday. Yes, that's right. I'm suggesting you spend some time on your job search over the weekend. Maybe not every weekend. But certainly this first one. Getting through Friday, Saturday and Sunday will make Monday a snap. And if you're employing the Seinfeld trick, starting on Friday will give you the momentum to blast through that first dreadful Monday.